DevOps is the most buzzed word in the IT industry! But, if you are considering DevOps as software, product or tool then, you are wrong! DevOps is basically a strategy, adopted by IT companies for better and faster software development and deployment. Development team always wanted agility but the operations team needed the stability of the software. Although both teams strived for client’s satisfaction, contradictory approaches were adopted. 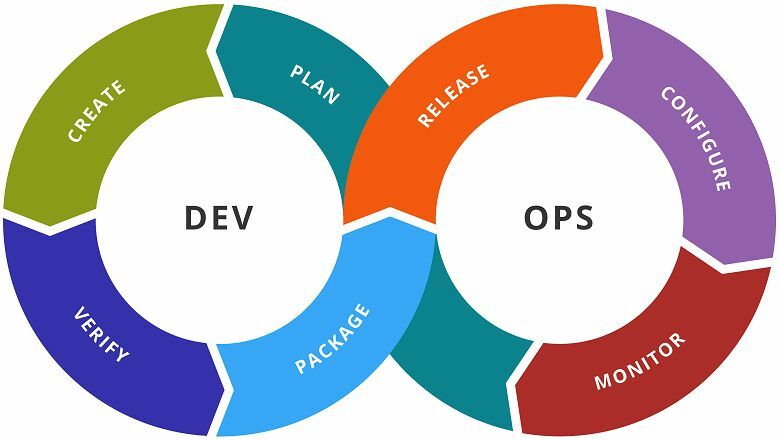 Hence, this methodology of DevOps came into the scene with the aim of resolving these conflicts and bringing the development and operations team together. Let us now take a leap into DevOps’s insights to have a better understanding of the topic. There are lots of technologies, services, and software that are used in the DevOps practices which are evolving every day. But, choosing the right technology method in any organizations varies. The DevOps pctice can be categorized into different phases i.e. planning, development, testing, managing, operating and then integrating all the systems as one. Communication being an essential asset of the planning phase in DevOps culture, it requires planning tools that would empower the planning for iterations, release management features & issue training. The most considerable planning tool for DevOps is JIRA. It is powered by Atlassian which supports sprint planning with the workflows of other tools like Kanban & Scrum. Even at complex enterprise platforms, JIRA is well suited for the planning stage of DevOps practice. It also enables streamlined feedback loops, open communication, and collaboration with multiple projects. Other such useful DevOps planning tools are – Trac, Rally, and Redmine, etc. This phase, if described in easy language, will be defined as the process of writing source code for a particular phase of development. To make this development stage easy, developers use build tools to manage and complete their work. Although there are a number of build tools available, the most popular build tool is Apache Maven. It offers a consistent system & a set of plugins for writing source code along with project dependencies and build automation. The strategy of building automation code, testing, merging and checking them and submitting them into the repository for steady integration and supply. DevOps integration tools that optimize the code, empowers automation and deployment at a higher velocity. The prefered DevOps tool for Continuous Integration/Continuous Delivery (CI/CD): Jenkins. Jenkins is an automation server which offers a plugin system architecture to support consistent integration and deployment. It also integrates with a variety of tools in the CI/CD toolchain to distribute work across various platforms. Other DevOps CI/CD tools are Apache ActiveMQ, Continua CI, Hudson, Travis CI, Bamboo, Continuum, Shippable, Circle CI, Snap CI, Solano CI, etc. The core of DevOps practice, manual work can hinder continuous integration of software and its delivery. But, using automation tools for functional & nonfunctional software configuration management and testing can free up the other resources required for faster delivery. Another major DevOps technical practice is a version control system. These systems are used to track and manage changes to original source code when revisions are released. Source Control Management (SCM), is a version control system that is used to keep the record of code modifications which further facilitate continuous integration. BladeLogic, Foreman, Packer, Stack, CFEngine, Gerrit, PalletOps are some of the version control and configuration and management tools. One of the major phases of DevOps practice is the faster deployment of every CI build. This practice requires managing change, automated development, tests, and one stable environment for release. There are multiple tools which support DevOps strategy in the standardized environment. Capistrano is also famous as a remote server automation tool used for web applications deployment. Being written in Ruby, it can support other frameworks with extra requirements or coding languages. Other deployment tools are- Automic, DeployBot, JuJu, RapidDeploy, Nomad, etc. As DevOps culture is developed to track and fix problems occurring during the agile software development lifecycle. The major emphasis is laid on monitoring the performance of applications, systems, networks, and the infrastructure during SDLC which differentiates this practice from others. New Relic is a SaaS web and a monitoring tool basically for mobile application performance. It is also used for providing customer experience analytics. It monitors other factors too such as availability, notifications, and alerting for applications running in cloud, or in hybrid environments. Other DevOps monitoring tools that can be preferred are- Nagios, AppDynamics, Elasticsearch, Kibana, SPM, BigPanda, Ganglia, StackState, etc. As DevOps aims at continuous implementation, integration, and delivery of the software. This practice helps in releasing the product into the market faster. And, it is used for below-mentioned factors too. 1. Predictability: Significant lower rate of failed delivery of the new releases is noted with this practice. 2. Maintainability: It supports the easy recovery process for the crashing new release or disabling the current system. 3. Reproducibility: It helps to restore the earlier version. 4. Market Time: DevOps culture significantly reduces the market time to half, by streamlining the software delivery, especially for digital and mobile application. 5. Reduced Risks: DevOps incorporates security aspects in the software delivery lifecycle. It assists in the significant reduction of risks during the life cycle. 6. Greater Quality: As it resolves the infrastructure issues so, the improved quality of the software or product can be expected with DevOps. 7. Resilience: The practical state of the software system is better: more stable, secure, and reversible changes. 8. Cost Efficiency: DevOps is described as the collaboration of development and operations teams. So, it offers better productivity from lesser staff and hence, cutting costs! 9. Modules & Routines: DevOps is basically dependent on the agile programming method. Therefore, it encourages the usage of smaller code section i.e. modules, routines subroutines over the larger ones. Every practice is derived from certain principles and so does DevOps! Here are 6 basic principles of DevOps. 1. Customer-Centric Action: This practice always ensures to provide better customer experience, be it before and after the delivery of the product. This way you can establish a loyal customer-client relationship and have more fruitful business in the future with the same client. 2. End-To-End Responsibility: It boosts the responsibility status of delivering a better quality final product by incorporating agile teams & methods. 3. Continuous Improvement: This practice aims at the basic principle of consistent improvement in every way possible: better performance, a better relationship with the client and customer and better delivery. 4. Automation: This principle not only applies to DevOps but to complete infrastructure landscape to get better-engineered products. 5. Working As One Team: In DevOps culture, the role and work of every team is predefined all they have to collaborate their skills and work as one. This ensures fast and improved product delivery. 6. Robust Monitor and Test: In order to achieve exceptional results, the approach of strong monitoring and testing of every tiny detail is followed. This strengthens the DevOps practice even more. 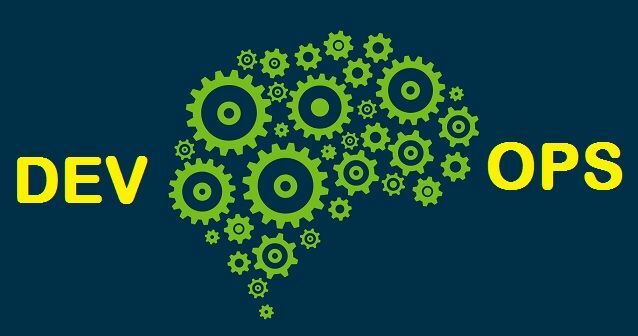 What is the future of DevOps? Most of the organizations are shifting their needs to months and even weeks than years! It might be possible, soon enough, that DevOps engineers will access or control as end users. It is now becoming a trend to hire an IT professional with DevOps expertise. According to a survey by Linux, it was found that 25% of the employers require DevOps expertise. This practice is going to last long hence, the corporations have got no choice but to evolve! However, mainstreaming of DevOps notion can take 5-10 years. Where DevOps can’t be adopted? Besides, this practice has endless benefits but there are some aspects where this culture can’t be adopted. This includes a bank and other sensitive data sites where security of data has high concerns. Such applications require very strict access control on the production environment, management policy and data centers access policy. As we’ve learned by now that DevOps is the contemporary practice in the IT industry to achieve faster delivery of the engineered product. It also supports better client-customer relationships. IT companies are incorporating this practice to have happy and satisfied customers. So, in case, you are seeking for some exemplary products developed in DevOps culture then, check out Orion eSolutions IT services!